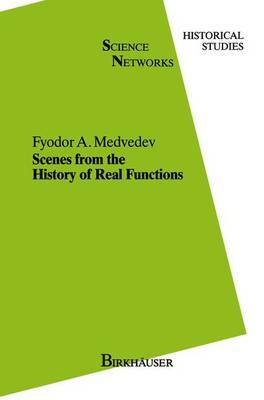 To attempt to compile a relatively complete bibliography of the theory of functions of a real variable with the requisite bibliographical data, to enumer- ate the names of the mathematicians who have studied this subject, exhibit their fundamental results, and also include the most essential biographical data about them, to conduct an inventory of the concepts and methods that have been and continue to be applied in the theory of functions of a real variable ... in short, to carry out anyone of these projects with appropriate completeness would require a separate book involving a corresponding amount of work. For that reason the word essays occurs in the title of the present work, allowing some freedom in the selection of material. In justification of this selection, it is reasonable to try to characterize to some degree the subject to whose history these essays are devoted. The truth of the matter is that this is a hopeless enterprise if one requires such a characterization to be exhaustively complete and concise. No living subject can be given a final definition without provoking some objections, usually serious ones. But if we make no such claims, a characterization is possible; and if the first essay of the present book appears unconvincing to anyone, the reason is the personal fault of the author, and not the objective necessity of the attempt.